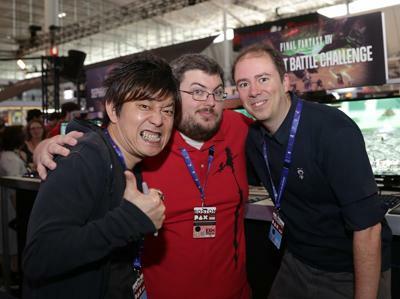 Bayohne here, coming to you from Boston, MA and the show floor of PAX East 2016! This is the second year in a row that we've had a large presence at the event and the fans continue to be amazing. 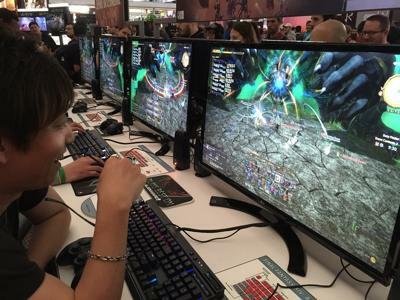 The FFXIV area at the Square Enix booth featured a whopping 24 PCs that attendees could use to challenge a special event version of Sephirot! We brought thousands of shirts and they've been going fast as the groups vanquish the fiend. 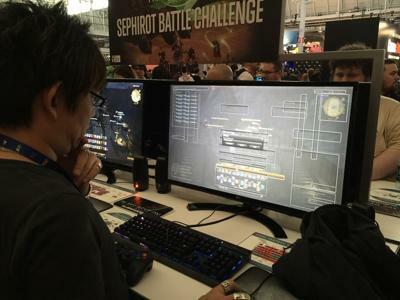 Here's a look at the Sephirot battle challenge area of the massive Square Enix booth. 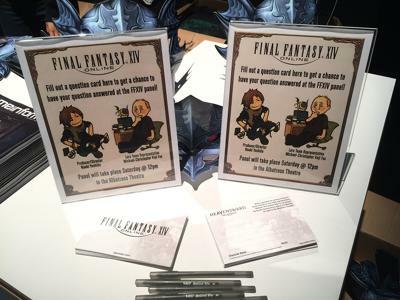 On Friday we set up an area to collect questions for Yoshida and Koji Fox's panel "Looking Heavensward"! 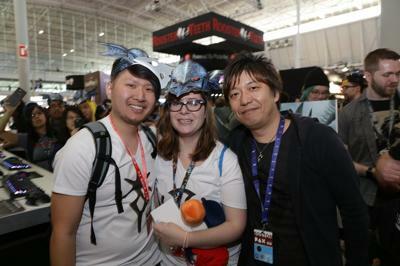 Yoshida and Koji spent most of Friday signing at the booth, taking photos with players, and answering questions from the attendees. 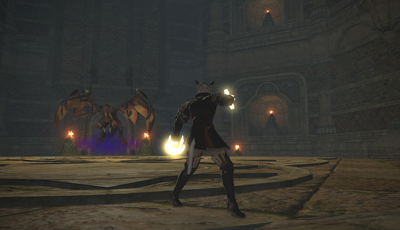 Yoshida even joined a few of the Sephirot groups to help them out as a black mage! He spends a lot of time meticulously setting up his hot bars and settings. Changed the UI to be as perfect as possible. 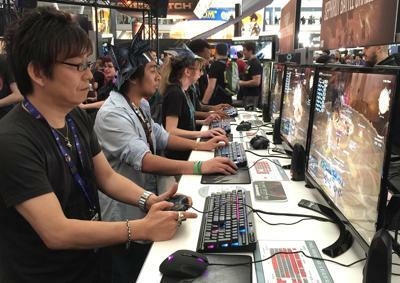 Saturday at 12pm was our "Looking Heavensward" panel where Yoshida and Koji would answer the questions gathered from the attendees on Friday, as well as live questions from the audience! 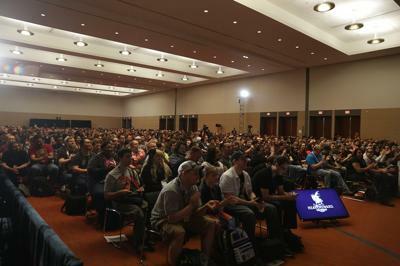 The room was filled to capacity and the energy was definitely felt by Yoshida as he told attendees to ask anything they wanted. 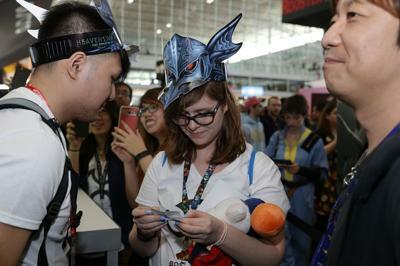 We received a lot of great questions at the booth and had Yoshida select them randomly in front of the audience during the panel. 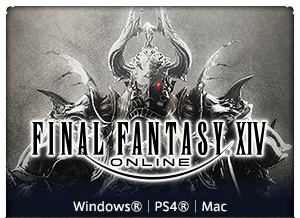 I had to step in when Yoshida started talking about adding "jobs" in upcoming expansions though! 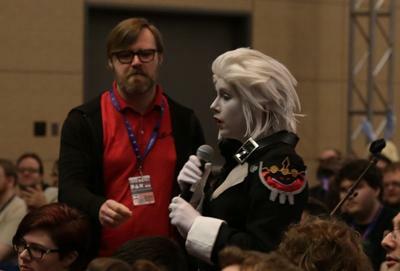 But Yoshida wanted to bring something special for the fans at PAX East, so he used the end of the panel to introduce the concept of the "Deep Dungeon" and revealed "Palace of the Dead"! 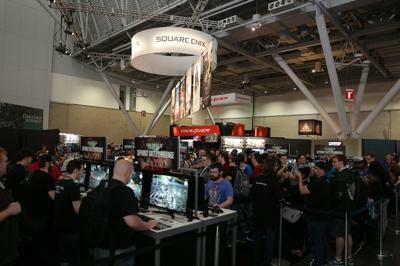 He showed off a few in-development screenshots and explained that the concept is a bottomless dungeon that can be explored solo, or in a group of up to four adventurers. It even features a separate progression system where everyone starts at level 1 and item level benefits are negligible compared to the rest of the game (it's all about strengthening your character from items found in the dungeon itself!). 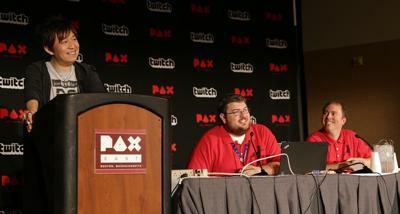 If you missed the panel, you can watch the full archive! 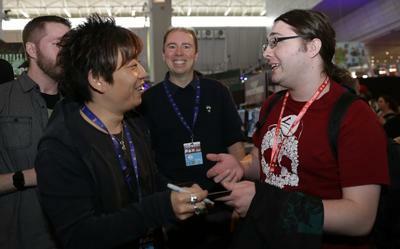 As fun as everything at the show was, there's something else special that happened at the FFXIV booth on Friday. We were tipped off that someone (the dark knight Jason) would be proposing to his girlfriend (the scholar Danielle) at the end of their Sephirot battle! 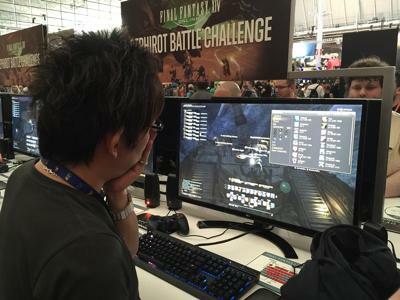 Since Yoshida was on-hand, we were able to have him take part in the plan. After the group won (thankfully! ), Yoshida handed her a special delivery moogle plush and told her to check inside the delivery pouch. Inside was a note from Jason asking her to marry him. 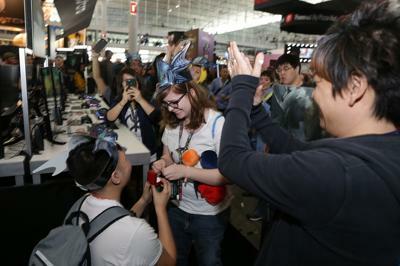 While she read the note, he dropped to one knee and produced the ring! Many tears were shed and she said she would! (I'll admit my eyes were a bit watery...) Her friends had been planning this for a long time and even had her mom watching on FaceTime during the proposal! They also produced shirts that had her soon-to-be last name on them! Congratulations to Jason and Danielle! Here's to many more years of adventure to come! 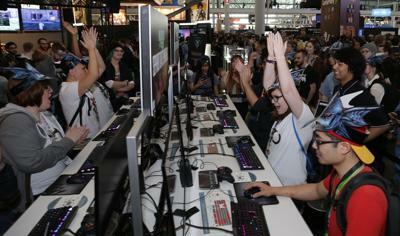 PAX East has been a blast and we wouldn't be here with you, our players, so we'd truly like to thank you all!